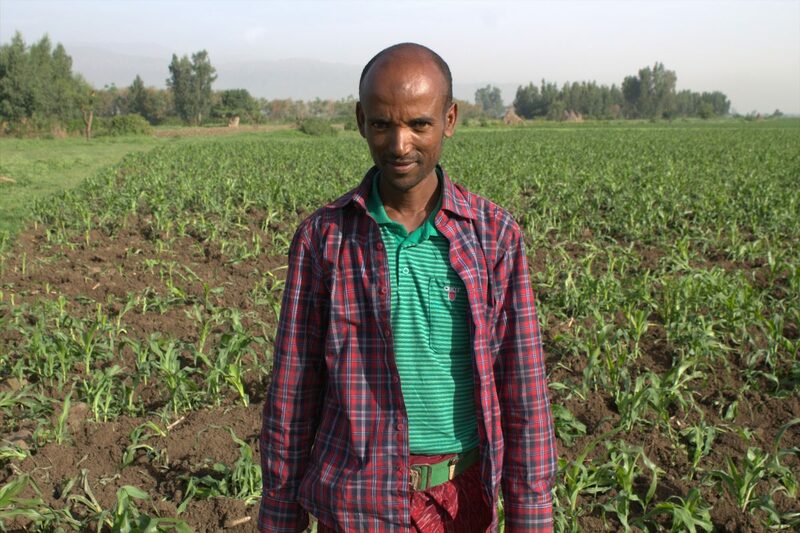 Ahmed joined MILEAR in 2014 and learned how to grow and sell mung bean, a resilient pulse crop. Ahmed lives in Shekla village in the Eastern Amhara Region of Ethiopia. He has four children – two sons and two daughters – who he tries to keep in school. Before Canadian Feed The Children’s food security project MILEAR* came to his community he struggled to take care of his family. MILEAR introduced him to the benefits of farming and eating pulses, something he had never heard of doing before. Ahmed isn’t the only one who hadn’t heard of farming pulses before – many Canadians may not recognize them under this name, despite being extremely common commodities at every grocery store. That’s why the United Nations declared 2016 as the International Year of the Pulses. The goal is to help farmers and consumers around the world learn the benefits of growing, farming and eating pulses. What are pulses? 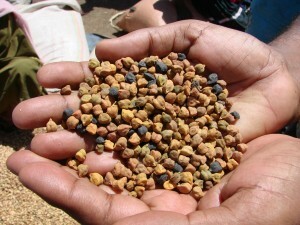 Edible seeds of plants in the legume family including chickpeas, lentils, dry peas and beans. They are drought-resistant and high-yielding crops, rich in nutrients. Pulses like mung beans and chickpeas play an important role in sustainable food production and contribute to food security and nutrition. 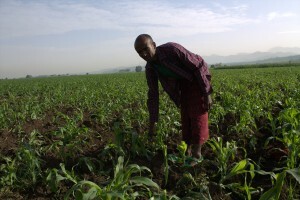 Ahmed had only produced staple crops like maize on his less-than-half-acre of land before. Maize does not provide the nutrition a growing family needs and it often doesn’t sell for a high price at market. To supplement the family’s income, Ahmed and his wife had to work as day labourers to earn extra money. It has been very hard on them. Ahmed’s family was identified by his community members as needing MILEAR’s support in 2014. Ahmed was introduced to the benefits of growing and eating pulses, and in particular, he learned about growing mung bean. Mung bean – like many pulses, is a drought-resistant, high-yielding crop that also enhances soil fertility. Ahmed learned that mung beans and other pulses need significantly less water to grow than maize or peanuts, and that pulses like mung beans contain two to three times as much protein as cereals like wheat, corn and rice. The nutrition pulses provide can be life-changing in the Eastern Amhara Region of Ethiopia as Ethiopia faces its worst drought in over fifty years with hunger rates expected to rise. Ahmed tending to his fields in Shekla Village, May 2016. Ahmed was trained on organic compost production, post-harvest handling, climate change mitigation techniques and he was sensitized on the importance of gender equality. These are necessary skills for Ahmed and other smallholder farmers so they can improve their farming practices and design their agricultural production based on market demands. Pulses like mung bean can bring as much as two to three times the price at market than cereals – which can help Ahmed earn more money to support his family’s needs. With MILEAR’s support Ahmed successfully harvested mung bean for the first time and earned 4200 birr ($280 CAD) at market. He used the extra income to improve his family’s home and to ensure his children can continue attending school. Ahmed and his family also quickly discovered the richness and nutritional value of mung bean. “Mung bean is not a crop, but rather butter,” Ahmed told us in good humour. The energy his family gets from eating mung bean (for him, it’s rich like butter!) has encouraged them to begin cooking with it regularly and has helped improve his children’s health. Ahmed is just one of many farmers in CFTC project communities in Ethiopia and the northern regions of Ghana who is benefiting from growing, selling and eating nutritious pulses. 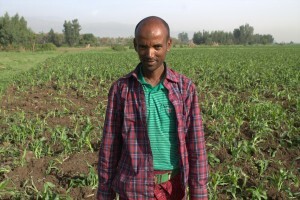 By growing mung beans – small green beans packed with a big punch – Ahmed has been able to give his family a better life.